Have you ever experienced a pounding headache from sinus congestion? This is a common example of how issues in one area of the head can lead to pain or discomfort in another area. Unfortunately for TMD (temporomandibular joint disorders) sufferers, the TMJ is well-known for causing secondary symptoms in other areas of the head, due to its close connection with other structures in the jaw, head, and neck. One example of this is the link between TMD and tinnitus in some patients. Learn more about what the research shows about these painful and frustrating conditions. If you suffer from TMJ pain, know that Dr. Timothy E. Mickiewicz can help. Dr. Mickiewicz frequently lectures across the nation on the newest, most effective TMJ treatments, and has founded Pacific Orofacial Pain Consultants: a team of experts in various disciplines who tackle the issue of TMJ disorder pain and treatment. To schedule an appointment with Dr. Mick, call our Sacramento dental office at 916-469-9178. Idiopathic tinnitus is a condition where sufferers perceive a phantom sound when no real, external noise is present. 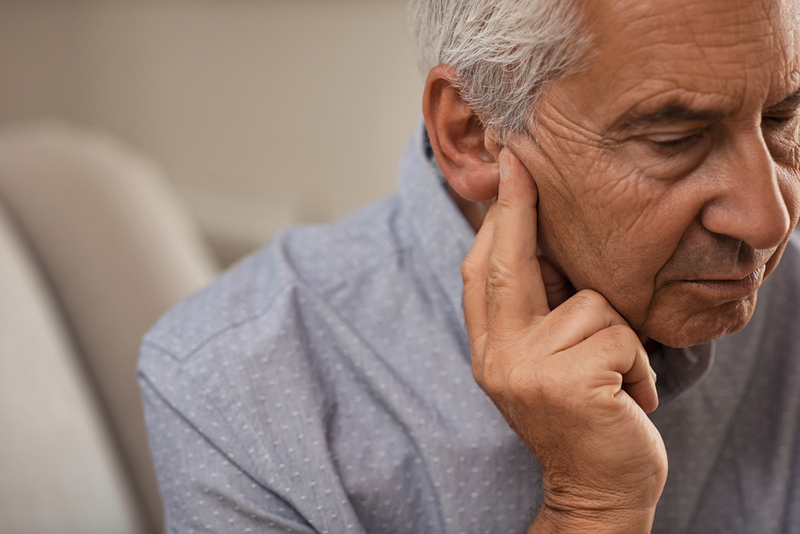 Some people may describe tinnitus as a “ringing in the ears,” but the truth is that this condition can exist as a multitude of different perceived sounds, such as a whooshing, whistling, buzzing, or clicking noise. Pulsatile tinnitus is a perceived pulsing noise that often is in rhythm with a patient’s heartbeat, and come sometimes be caused by brain or ear injuries or illnesses. Tinnitus can be both temporary or chronic. How is tinnitus linked to TMD? Several different schools of thought exist as to how TMJ disorders can lead to tinnitus. However, most come back to the fact that the temporomandibular joint is so closely connected by different soft tissues to the inner ear structure. The lateral pterygoid muscles that control much of the movement of the jaw to open, close, and move side to side are located very close to the structures of the inner ear. In addition, the inner ear is connected to the jaw through shared ligaments. Finally, research has shown the impact of stress on both TMD and tinnitus. It could be that the stress which is brought on by TMD could also contribute to tinnitus symptoms. Is there treatment for TMD-related tinnitus? • At-home Therapy: these include heat or ice therapy, eating a softer diet, stress relief practices such as meditation, TMJ-specific massage techniques, and eliminating chewing gum or nail-biting habits. • Oral Appliances: A soft, custom-fitted appliance from Dr. Mickiewicz can protect your teeth and jaw from night-time grinding and help to correct the natural alignment of the jaw. • TENS Unit: Transcutaneous electrical nerve stimulation (or, TENS) is a therapy treatment that sends electrical pulses to the TMJ-related muscles and helps to relax tense muscles, as well as contribute to an increase of natural, painkilling compounds. 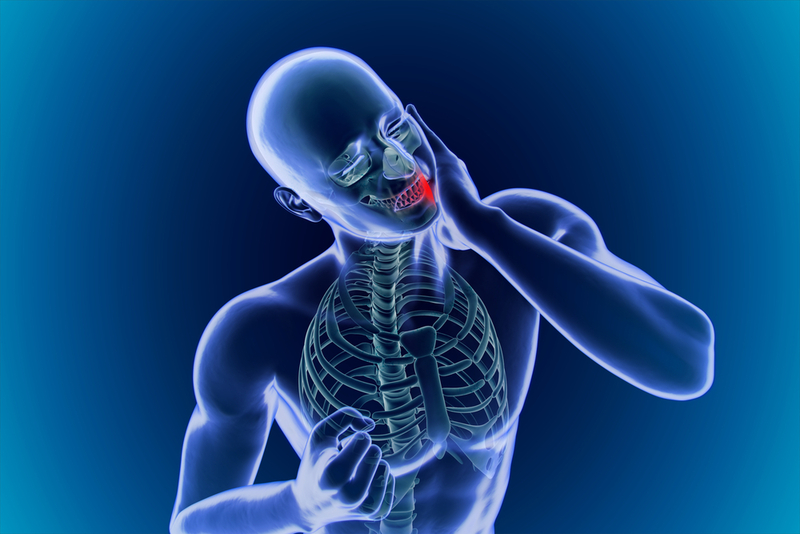 • Physical Therapy: A trained therapist in TMJ disorders can offer massage techniques and other musculoskeletal exercises to alleviate pain and loosen tight jaw muscles. • Medication: For severe pain, Dr. Mickiewicz may prescribe medications, such as muscle relaxants or antidepressants, to treat underlying causes and ease symptoms. If you are suffering from TMJ disorder-related tinnitus and are looking for relief in the Sacramento, CA area, look no further than Dr. Mickiewicz. As a diplomate of the American Academy of Pain Management, Dr. Mickiewicz is uniquely qualified to help reduce painful symptoms and help you live life uninterrupted by frustrating TMD symptoms. Contact a member of our team today to schedule your appointment.